The Church historian and fellow witness of the Gospel of our Lord Jesus Christ, Luke, wrote to Theophilus saying, “it seemed good to me also, having had perfect understanding of all things from the very first, to write to you an orderly account, most excellent Theophilus” (Luke 1:3 NKJV). In the same manner, God intended to preserve a record of His interaction with the human race for the benefit of present and future generations without having to repeat Himself over and over again. He, therefore, commanded Moses to ‘write’ what He said (Exodus 17:14; 34:27). The Lord also commanded Moses to record their journey from Egypt into the Land of Canaan (Numbers 33:2-51). As a ministry, we have also traveled a journey with the Lord, and He has commanded us to write an orderly account of our journey with Him. This will be a rather brief account, and for the sake of clarity, please forgive us if we reiterate this information elsewhere in the website. In 2009, my wife and I, along with our daughter Charis, who was eight years’ old at the time, decided to establish a home fellowship. As a custom, every night before bedtime we would read from the Bible and pray, with each one of us reading a portion of Scripture and expounding where necessary. Even at such a tender age, Charis enjoyed these sessions very much, and she would always remind us when it was time to meet. As a family, we have faithfully continued this home fellowship, meeting daily, and this practice has become the hallmark of our home, just as Joshua declared "As for me and my house we will serve the Lord" (Joshua 24:15). During the Sunday church service of January 24, 2010, our then-pastor announced a seven-day fast, encouraging us to pray for the needs of the local church as well as ours. Since we were plagued with financial debt and worries at the time and the fact that I had been unemployed for a full year, my wife and I decided to join our local church in this seven-day fast. As it is, we had been unable to pay our home mortgage (bond) for almost a full year. During that time, I submitted applications for various jobs and attended countless interviews, yet all doors to employment were closed. These were very frustrating and trying times for us as a family. As a father, I was unable to fulfill my responsibility to provide for my family, and this led to severe tensions and quarrels at home. In my desperation, I started making plans to put up our house for rent and move back to my parents’ house, while my wife was to move in with her parents along with our two daughters. In the midst of all of our problems, we still continued praying and trusting the Lord for a miracle. Amazingly, and completely unexpected, on the night of January 25, 2010, the Lord appeared to my daughter Charis for the first time. He gently told her, “I love My children. My daughter Charis, I am your Lord and Savior Jesus Christ. I am going to talk to you and show you visions, and you must tell your father to keep a record of all that I will show to you." This visit from the Lord rejuvenated our spirits and marked a new beginning in our relationship with Him. True to His promise, this would not be the last visit. 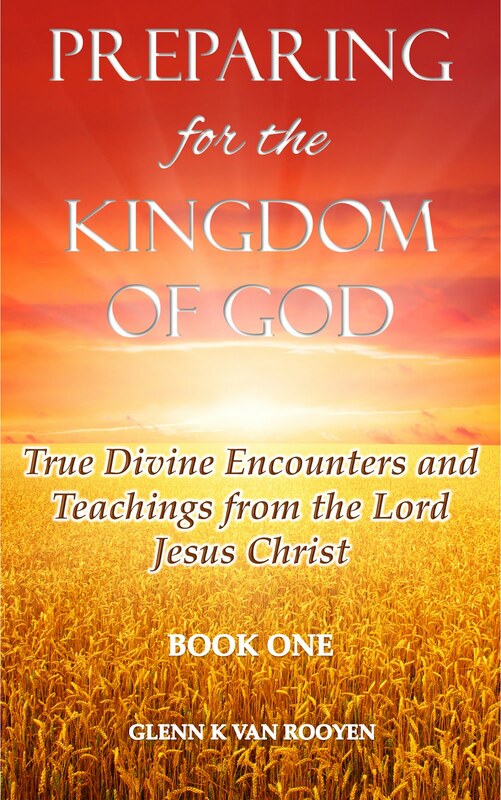 We have compiled several teachings and experiences from the Lord, and we are pleased to share them with you to encourage you in your faith as you continue seeking and trusting Him. How Does Jesus Look Like? Some of you may be wondering how Jesus looks like. When Charis saw the Lord, He was standing on a pure white cloud (Nahum 1:3b; Revelation 14:14), wearing a shiny, white robe lined with golden stripes (Revelation 1:13). Across His robe, from shoulder to hip, was written “KING OF KINGS AND LORD OF LORDS” (Revelation 19:16). She could not see the Lord’s face; it was covered with brilliant light, but she could see that He was wearing a golden crown on His head (Revelation 14:14). During another visit, Charis asked the Lord to show her His hands and feet. She saw the nail marks on his feet and when He opened His hand she saw the scars of the cross (Luke 24:40; John 20:27). Because the Lord’s face is not visible but concealed in brilliant light, she could not see His hair. When she asked Him, He slightly bent forward and showed her His hair; it was pure white like wool (Revelation 1:14). In March 2010, after the Lord had given us (my wife, Charis and me) spiritual gifts for the work of service in this ministry, He commanded me to look for five willing, born-again Christians to pray with us every Saturday morning for eight weeks. Soon after we completed the eight weeks of prayer, the Lord blessed all the five people who prayed with me with what they needed at the time. For being obedient and making an effort to participate in the prayers, a brother who had been unemployed for over 3 years was blessed with a good job; he is currently still employed in the same place and was promoted to a higher position. Also, a sister who desired the gift of tongues received this gift on our last day of the eight weeks of prayer. In addition, the Lord answered the desperate pleas of a mother who prayed with us interceding for her drug-addicted son; He delivered the son from drug addiction and demons on December 15, 2010. Five years after being delivered, this brother is still saved—Glory to God! Furthermore, the Lord also answered the prayers of a woman who was interceding for the healing of one of the children in her family. The Lord faithfully answered many other prayer requests that we brought before Him during this eight weeks of prayers. The Lord taught us and confirmed to us through this test, that when we are committed to praying consistently, He answers our prayers. After we completed the eight weeks of prayer, the Lord commanded my wife to find five people to pray with her every Saturday morning. This fellowship still continues today as a women’s prayer meeting. We can testify that through this prayer group, some people whom they prayed for and who had faith confirmed that they received jobs, healing, deliverance, and salvation. In addition, for their work of intercessory prayers, the Lord has granted peace, health, and providence to these women, and this has further contributed to their faith and dependence on the Lord as their Source of strength. In August 2010, the Lord commanded me and my wife to find ten people to pray with and start a separate intercessory prayer group. He gave us a timeframe to find additional people, and this number gradually increased to twenty. Some of the people who promised to join us never showed up, but we continued our prayer sessions with the few committed ones who came. After praying with ten people every Friday evening for five weeks, the Lord commanded us to change the weekly intercessory prayer time to Saturday evening, and this continues to this day. Through these experiences, the Lord taught us that corporate prayer is important, and each church should have an intercessory prayer group (Acts 4:31; Acts 6:4). In establishing our witnessing or evangelism ministry, the Lord commanded that we, along with members of our prayer group, go out witnessing in our local community and lay hands on the sick and those who needed deliverance from demonic oppression (Luke 10:1-23). This witnessing work has resulted in the salvation, healing, and deliverance of many people, as we continue going out in the name of Jesus (Mark 16:15-18). The Lord established every Friday evening as the time for us to go out and witness. The Lord is caring and He does not want His work to be burdensome (Matthew 11:30). After many weeks of witnessing, the Lord would give us breaks during very cold and rainy days. 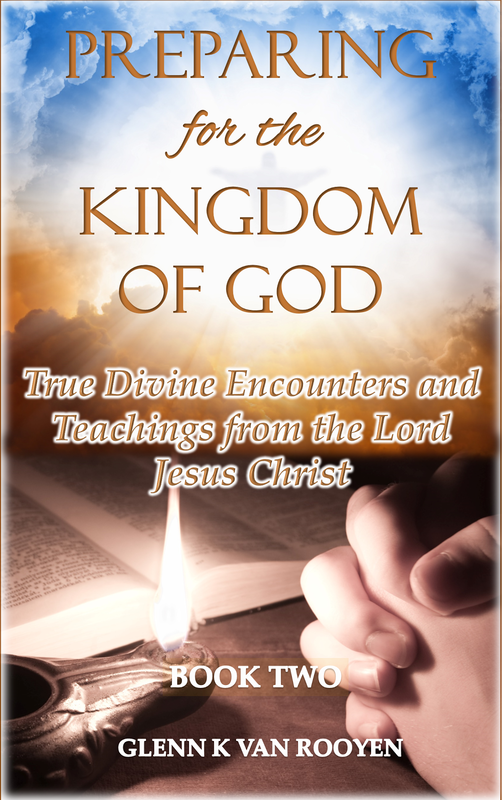 As individual members of this ministry, we have also developed the habit of daily witnessing to families, friends, colleagues, and whomsoever we would come across during our daily routines. Most local churches in our community are accustomed to holding Wednesday evening services. We initially followed this tradition and opened our home living room as a place for our Wednesday evening services, but having the honor of the Lord as our Leader, He set our service and meeting times. We strongly encourage Brethren who meet to fellowship at home to surrender the service to the Lord and have Him as their Leader, instead of fighting for control. Having mentioned meeting days, we are not suggesting that the days we choose to worship should generally apply to everyone. Surely, worship times and days are normally set by local congregants within a given community. Insisting on Sunday or Saturday as days of worship promotes sectarianism, not Christ (Romans 14:5). Unfortunately, Home Church services can serve as means to control individual believers, instead of focusing on Christ. For example, most Home/cell church services happening on Wednesday evenings in Pentecostal and charismatic churches, particularly here in South Africa, involve a discussion of a pastor’s sermon or Sunday message. Having been part of this system, and being eager to grow, I found this gathering to be more of a social event than a prayer gathering. Under this system, I understand that pastors are careful not to expose their flock to wrong teachings, and the small group mechanism serves to control and protect the members. However, this system often neither stimulates growth nor allows room for the Holy Spirit to work and use individual believers. I personally believe that these kinds of gatherings could be used to more effectively develop and mold individuals into God-fearing leaders. I strongly believe that instead of pastors exerting stringent controls, Home Church leaders should be allowed to exercise their faith so that the Holy Spirit can work through them for the benefit of the rest of the group (Titus 2:1-2). The Apostle Paul did not dictate to Timothy or Titus, but he encouraged them to stick to Scriptural teachings and sound doctrine (2 Timothy 3:16; 4:2). In countless messages to many individuals in our ministry and outside, the Lord encouraged believers to read the Bible from cover to cover. This approach to Bible reading undoubtedly gives us a holistic understanding of the Bible message, instead of just picking on individual verses. As it is, many Christians today base their faith on specific Bible verses that suit their selfish interest, while disregarding the rest of the Scriptures. This has led to widespread confusion, division and deception in the body of Christ. With this narrow system, we see people following men or their leaders for their particular teachings and doctrines (for example prosperity or certain spiritual/supernatural manifestations), instead of being followers of the Lord Jesus Christ and fully embracing His truth (1 Timothy 4:6; 1 Corinthians 1:12-13). The Lord provides the weekly messages that we share, and He also gave me word through Charis on what I should preach about. The messages that the Lord would give me to preach would often be based on people’s current situations; for example, when we had sick people, I would be asked to preach about healing in Christ. Those who were going through a crisis of any kind found answers and encouragement in the message the Lord gave. Where sinful behavior played a role in those circumstances, the Lord would issue a rebuke to the individual concerned, and give a word to me to write or preach as a warning to others. In an effort to share the gospel with the households of brethren who are part of our ministry, the Lord directed that we take turns having church services at member’s homes, and we rotated services for almost two years. Brethren, during this time of directing our ministry activity, like His disciples we did not understand what the Lord was doing (John 12:16). As we look back and see the fruit of our work accomplished by His grace, we can only bow down in worship, praise and thanksgiving to our Savior for His involvement in our lives. Following a two-year period of preaching, the Lord gave each member of the ministry personal messages, commanding us to all concentrate on reading our Bibles every day and praying three or more times daily in our fellowship with Him (Joshua 1:8; Psalm 55:17; Daniel 6:10; 2 Corinthians 12:8). When we failed to obey, the Lord taught us His Word by rebuking us strongly for our sins, in order to ensure that we keep growing in His will (Job 42:7; Proverbs 3:11-12; Hebrews 12:6). In April 2012, after noticing our obedience and growth in our personal fellowship with Him, the Lord changed our traditional Wednesday preaching services to praise and worship sessions. Before commencing our worship services, as a custom, we regularly open our services with prayer and a word of encouragement from the Bible (1 Corinthians 14:26). The Lord uses these praise and worship services to heal the broken hearted and sick and deliver those bound or oppressed by demons. At the same time, He draws each one of us closer to Him in a fellowship of solemn unity with His Holy Spirit. Many brothers and sisters who first heard about the Lord’s dealing with this family believed our testimony due to the blessings He imparted on us and the fruit of our work in Him. However, some of these people broke faith with us as a result of their insistence on us getting a Word for them from the Lord. Many of those who asked us to inquire of the Lord for them did not anticipate the kind of message they would receive. Often they expected to receive a “good fortune”, “prosperity” or “feel good” message from the Lord which corresponded with their worldly lifestyles. However, the Word from the Lord would often be a message of rebuke, exposing their wrong habits and lifestyle. Those who faithfully served Him would receive a message of encouragement. Some people were so embarrassed that they chose to leave our fellowship and dissociate with us. In a number of visions, the Lord warned the people of the world that they have received and believed another gospel. This false gospel is not one that encourages holy and righteous living, which involves leading a witnessing lifestyle with Christ-like attitude daily, to the annoyance of the devil and those who hate the truth! Given the current state of the Church, the Lord Jesus has declared judgment against the worldly gospel, which promotes individual needs more than godly living. This false gospel also promotes the adoration and idolization of “servants of God.” These preachers often preach a people-pleasing, motivational, prosperity-focused message. They avoid persecution by not speaking out against sinful conduct and encourage believers to embrace a worldly lifestyle of materialism. In sharing this account on how this ministry started, we just wanted to share how the Lord Jesus established and commanded the activities of our Ministry. The Lord has also provided a global platform via a website (preparingforthekingdom.com) as a channel to reach our brothers and sisters far away with His Word and our testimony. This, He truthfully told us, is to prepare many people for His imminent return, which He promised us through many visions and messages, would occur in our lifetime. Our aim is therefore not to promote ourselves, but to share our testimony as a witness to what the Bible teaches and encourage you to be ready. If you are not yet born again, here is a Prayer of Sincere Repentance to get you started. For any questions or comments on this article or our ministry, please contact us. The Lord bless you in His rich love!